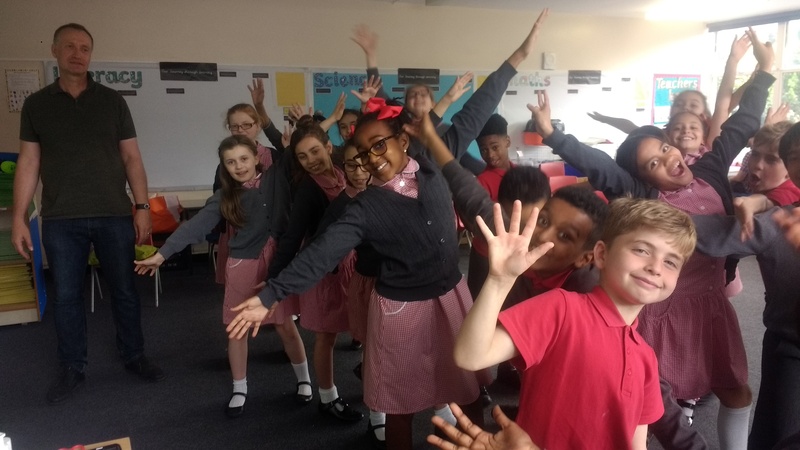 MOD Theatre Productions visited each of our three participating schools to develop a musical play based on Samuel Godley’s life with the children. 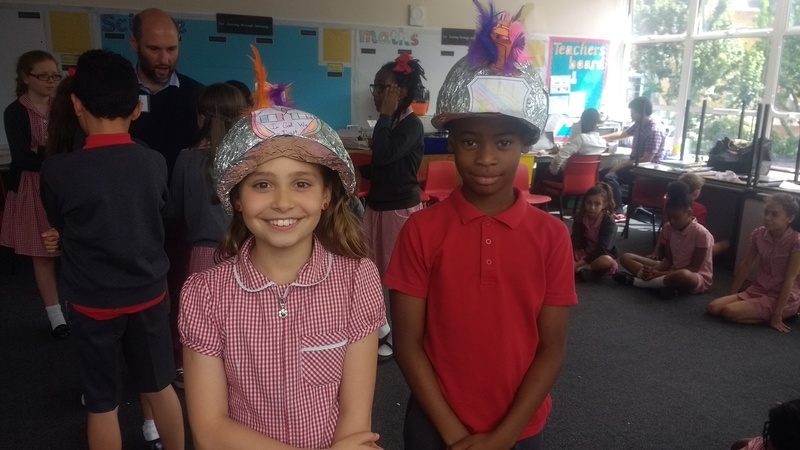 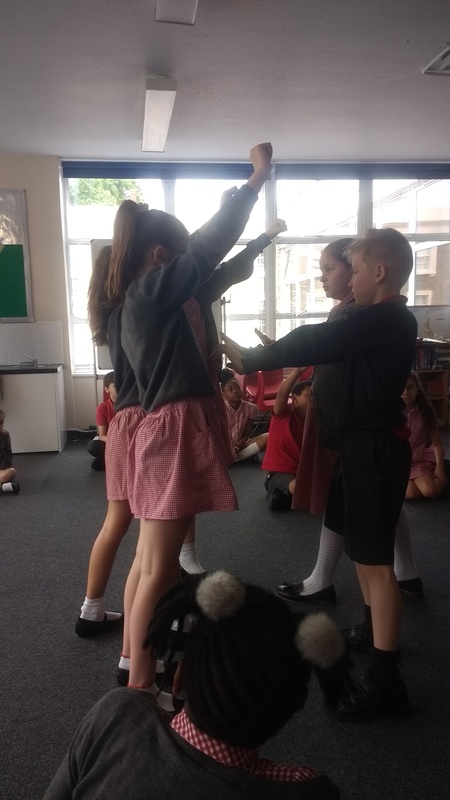 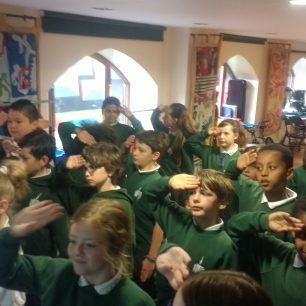 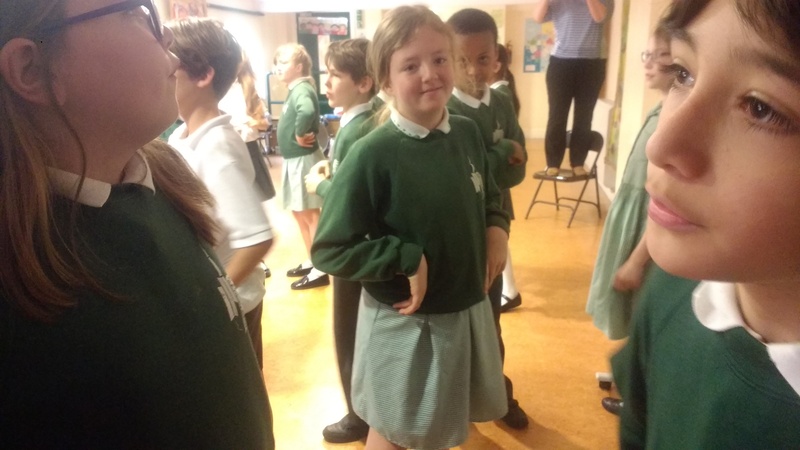 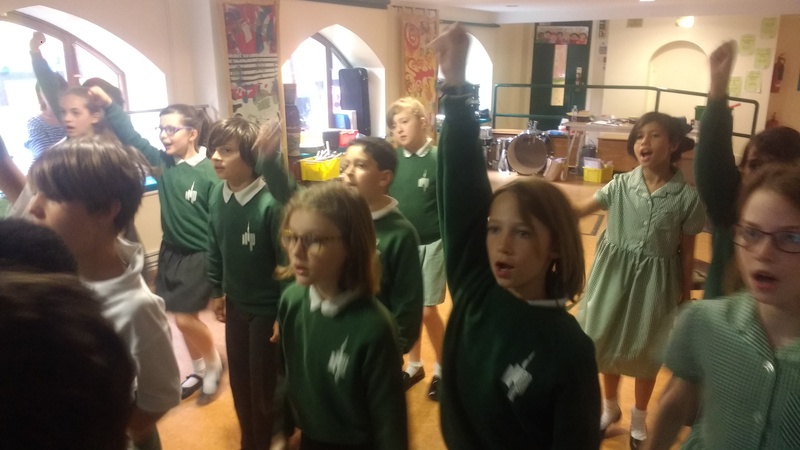 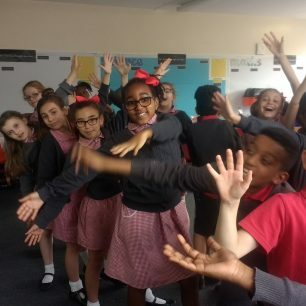 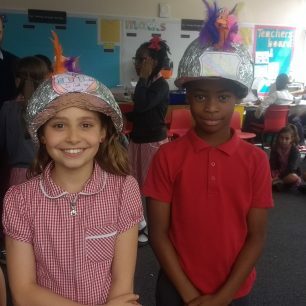 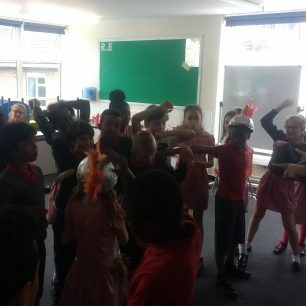 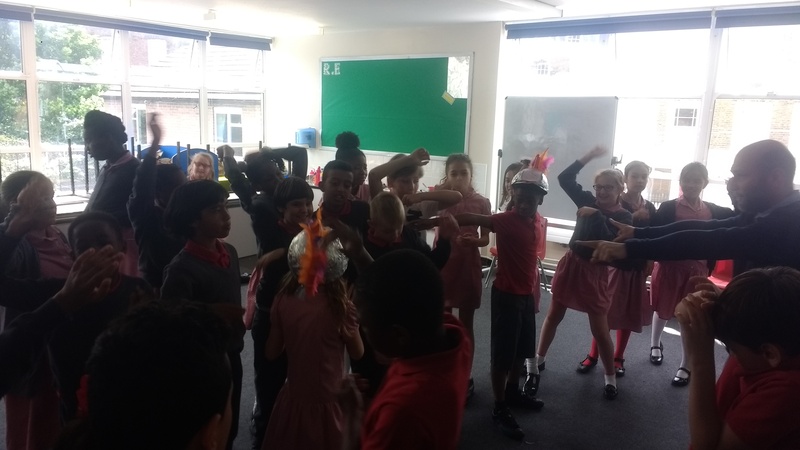 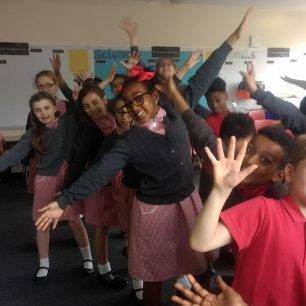 In a jam-packed day, the children learnt songs from the Napoleonic era, practiced military discipline and learnt battle formations used by Wellington and Blucher to win the war. 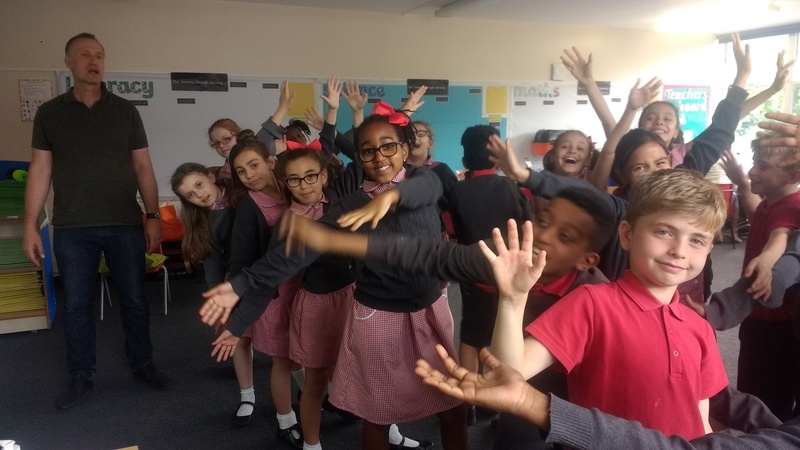 Each of the classes was assigned a scene within the play, which will come together at Lord’s Cricket Ground on 16 June 2017 – the day of the unveiling of the gravestone at St John’s Wood Burial Ground. 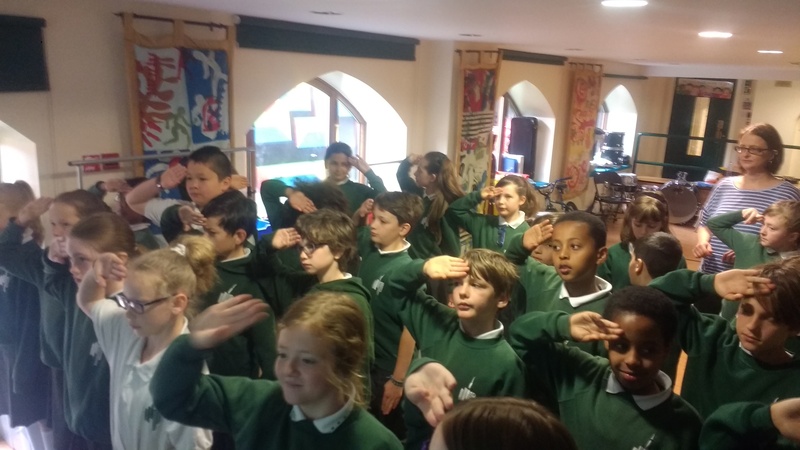 A teacher from St Saviour’s said: “The children really enjoyed this activity! 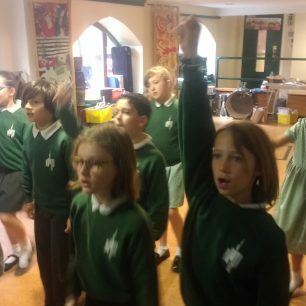 … They love drama in our class and really learn well through drama and dance”. 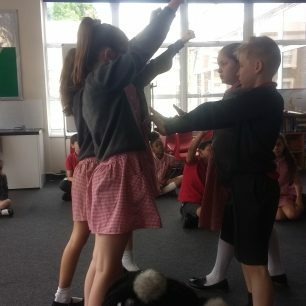 This page was added on 16/06/2017. 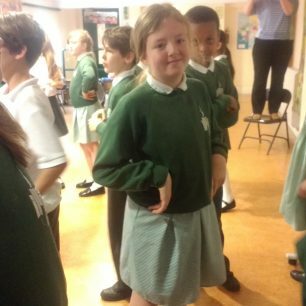 Start the ball rolling by posting a comment on this page! 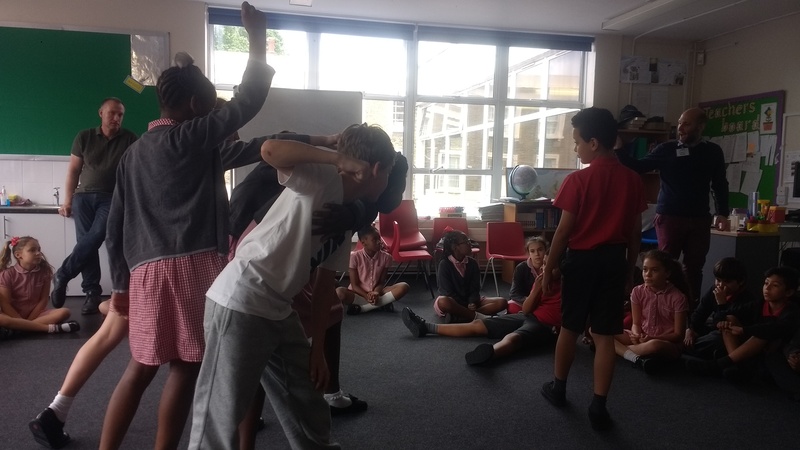 Re-visiting creative writing and drama: who was Samuel Godley? 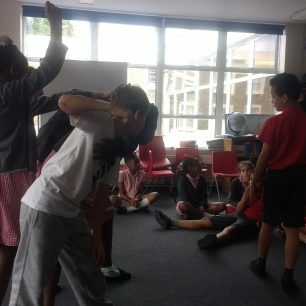 Let's create an animated film!